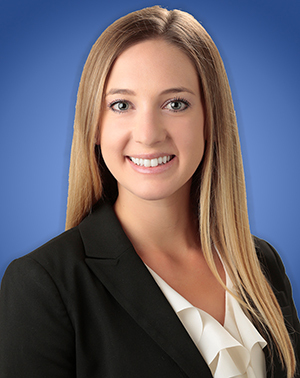 Alyssa R. Bivins is an Associate in Lozano Smith's Sacramento office and co-chair of the firm's Special Education Practice Group. She represents public schools and other educational agencies in litigation and special education issues. Prior to joining Lozano Smith, Ms. Bivins served as a judicial law clerk to United States District Court Judge John A. Mendez of the Eastern District of California. She researched and analyzed legal issues pertinent to motions before the Court, and drafted orders and bench memoranda on pending civil motions, including motions for class certification, summary judgment, preliminary injunction, enforcement of arbitration awards, and more. While pursuing her J.D., Ms. Bivins worked as a legal extern for the Duke University Office of Counsel, where she investigated facts and wrote position statements in response to EEOC wrongful termination claims and analyzed implications of executive orders and administrative regulations on the university. Ms. Bivins earned her J.D. from Duke University School of Law, where she was a staff editor for the Duke Law Journal. She earned her B.A. in Political Science, with a minor in Education Studies, from the University of California, Los Angeles.